The power of the letting market is shifting into tenants’ hands according to letting agents after new figures indicated a record number of tenants had scored a reduction in their rent last month. The latest figures from ARLA Propertymark show 85% of buy to let tenants managed to negotiate a lower rent than advertised despite the number of rent increases falling in the same period. Fewer buy to let landlords put rents up, with increases dropping to the lowest level in seven months. In October, 24% of agents said landlords had increased rents, compared to 31% in September and 40% in August. Meanwhile, the percentage of tenants negotiating rent reductions rose from 2% in September to 3.7% in October. Demand for buy to let actually rose in October, but this was offset by the number of available rental properties. The number of prospective tenants per branch increased from 63 in September to 71 in October while the number of available rental properties also rose from 194 in September to 198 in October. This is the highest figure since December 2017, when supply stood at 200 and is up by nine per cent year-on-year. With supply outweighing demand, the power of the market shifts into the hands of the tenants who are in a better position to negotiate lower rents. But experts believe this is only a temporary shift as rents continue to rise. 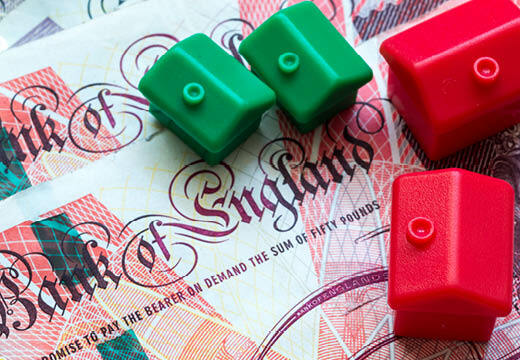 David Cox, chief executive of ARLA Propertymark, said: “Last month’s findings indicate that power in the rental market could be shifting towards tenants, with a record number negotiating rent reductions, and less landlords hiking rent costs.